Wild camping is an overnight stay, not on a campsite – finding a pleasant location off the beaten track that allows you to experience the rugged camping experience. For campervans and motorhomes, Wild Camping is illegal across the UK & Ireland although in many parts is tolerated provided a common sense approach is taken and leave no trace principles are followed. There is always the risk of being moved on – especially if it is considered that you are causing an obstruction. Remember, there is now a vast array of camp sites with picturesque locations across the UK and Ireland, use these first before you consider Wild Camping in a campervan. These sites are geared up for motorhomes, have all the facilities as well as a warm welcome and great local advice to visitors. Not to mention that if you’re staying locally on a campsite you’re contributing much-needed income to the local economy! There is widespread misinformation on wild camping in Scotland, particularly due to the long tradition of freedom to roam formalised in the Land Reform (Scotland) Act, 2003. The Land Reform Act permits wild camping on most enclosed land (provided you follow the Scottish Outdoor Access Code/Leave no trace policy)– but it excludes motorised vehicles. 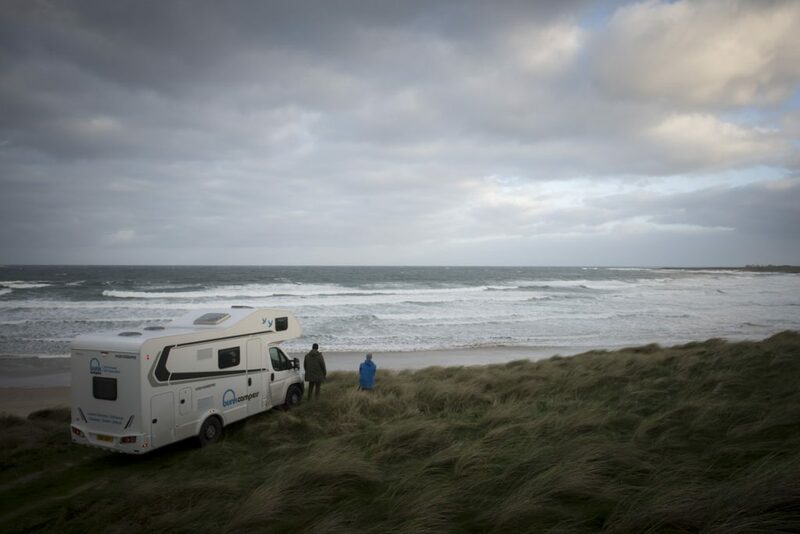 Wild camping in motorhomes/campervans has been tolerated in some remoter parts of Scotland away from settlements but unfortunately, the significant growth in popularity of motorhome holidays – especially on the NC500 – has created issues in particular hotspots due to the effect on the environment and overall infrastructure. 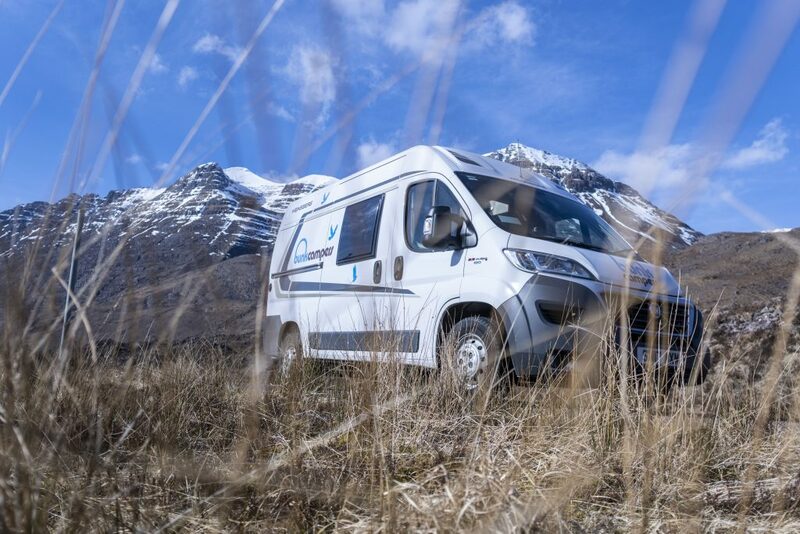 Certain Scottish islands (such as Colonsay and Tiree) now don’t allow campervans or motorhomes at all since they lack the infrastructure to accommodate vehicles of that size. Loch Lomond is subject to Wild Camping byelaws throughout the National Park between March and September in order to protect the lochshores meaning that camping is only permitted in certain areas. Wild camping is only legal in England and Wales if you have been granted permission by the landowner and every bit of land is owned by a private individual. The National Parks Authority forbid wild camping within any National Parks of England and Wales. Wild camping is only legal in Northern Ireland if you have been granted permission by the landowner and every bit of land is owned by a private individual. Northern Ireland Forestry Service issues camping permits at some of its sites. Wild camping in Ireland is illegal but like many other countries, is tolerated in many parts. The rule of thumb is to move on if asked to and follow the Leave No Trace guidelines. Avoid overcrowding by moving on to another location if it’s already a busy spot. Be discrete, try to camp out of sight and away from houses or farms. Park up late and leave early. Be prepared to move on if asked, always be friendly and polite. Choose your toilet carefully – away from open water. Use a stove or leave no trace of any camp fire. Never cut down or damage trees. Keep groups small and quiet, and enjoy the peace and the scenery. Always pick up any litter and leave the area as you found it. Wild camping, if done correctly is safe. Just be sure to take the usual precautions. Always let someone know where you are, what you are doing and when you will return. If you don’t feel safe or sure about procedures, or if you prefer to have a shower and toilet, then perhaps wild camping isn’t for you; head to a campsite instead. Bunk Campers are part of The Camping & Caravanning Club Privilege Scheme meaning that when you hire a campervan or motorhome from us, you will receive up to 30% off campsite fees. Many of these campsites are in idyllic locations including the Highlands, Islands, Cotswolds, Lake District and North York Moors. Find out more about the participating campsites and how to book by visiting their website and enjoy 30% off! In Scotland, we also provide the Visit Scotland Camping Map filled with campsites countrywide, or why not check out their Top Scottish Camp Sites with scenic views that will leave you mesmerised by the natural beauty of the Scottish landscape. When you hire a campervan in Ireland from Bunk Campers, you will be given temporary membership to Safe Nights Ireland who offer a large network of safe overnight parking locations across Ireland. From country houses, open farms, national parks to pub locations – you really can get off the beaten track! Customers can then stay at any of Safe Nights Ireland site for a small fee, much cheaper than a campsite and make use of the site facilities. Alternatively take a look at Camping Ireland a Tourism Ireland approved range of Camp Sites, giving you peace of mind for user-tested camp sites. They also offer a host of campsites that are open all year round, perfect for winter road trips.